At the 1998 Winter Olympics in Nagano, Tamara Moskvina, coach of the eventual Pair Champs, Russians Oksana Kazakova & Artur Dmitriev, and the Silver Medalists, countrymen Elena Bereznaia & Anton Sikharulidze, made no move unless first surrounded by the travelling cluster of reporters one observer dubbed "Tamara's swarm." Even before the Games began, the savviest public-relations player in Russia opened her home and rink to any TV crews interested in shooting a profile on either of her top couples. With equal enthusiasm and excellent English, she repeated, over and over again, their respective, dramatic stories, and, when Anton Sikharulidze complained about having to perform for the cameras, she hissed, "These people have come all the way from America to photograph you. You will do what they say, and you will keep doing it, until they tell you that they are finished." 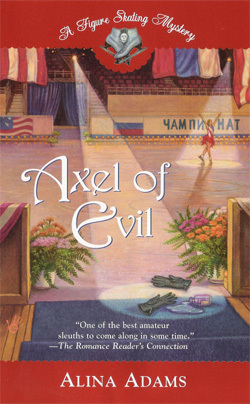 Tamara's one-time pair partner, Alexei Mishin, at the Olympics coaching 1998 European Champion Alexei Yagudin, also understood how to use the press to his advantage. An hour before his student was scheduled to skate, Mishin personally made the rounds of every TV broadcasting position to solemnly inform that Yagudin was running a fever, was being examined by the doctor as they spoke, and that he might withdraw. Mishin just thought they should know. So they could tell their audience in case Yagudin didn't perform well. The eventual winner of the men's event, Russia's Ilia Kulik, in the first days of the Olympics, found himself without a coach to play the media on his behalf, as Tatiana Tarasova was busy putting out the fires sparked by her most volcanic student, Pasha Grishuk. But, the 20 year old, Leonardo DeCaprio look-alike proved himself more than capable of playing the charmer on his own. As the first Russian to arrive in Nagano, Kulik had the story-hungry press all to himself. He joked that he came early "to get the best-room in the Russian apartment at the Olympic village," then casually added that the back injury that kept him out of the European Championship was perfectly healed now, and he was skating terrific, just great. Did everyone see the Triple Axel he landed? He was ready to win. 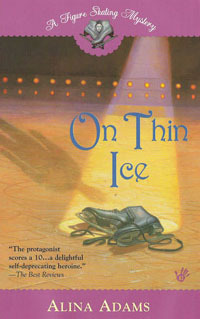 Another skater to benefit from the first-to-arrive syndrome, was America's Tara Lipinski. Unlike teammates Michelle Kwan and Nicole Bobek, who stayed at their Lake Arrowhead, CA, training site until shortly before their event began, Tara didn't want to miss a moment of the Olympic experience she'd dreamed about since she was a toddler. She not only marched proudly and giddily in the Opening Ceremonies, she also attended several of the official practices in both the main and auxiliary rinks, where, with the absence of other American Ladies, she had the world press all to herself. And Tara Lipinski milked it for all it was worth. The moment she stepped on the ice, taking off her skate-guards and neatly laying them on the barrier, a plethora of cameras seemed to materialize from the depths of every corner of the rink. In the silence of an unfilled arena, each click of a shutter or buzz of a zoom lens testified to yet another electronic eye scrutinizing the diminutive, defending World Champion. And Tara didn't disappoint. Feigning obliviousness to the cameras, she skated her programs through without error, putting in every triple jump, every Triple-Triple combination, grinning with delight all the while. After the practice, a crowd of reporters clamored for a quote from the self-possessed teen. Her coach, Richard Callaghan, didn't want Tara to be bothered, and offered to field the questions himself. But, Tara said no. This was her show, this was her time, this was her dream Olympics. She would be happy to chat with the press. (Though Tara did leave Nagano for the privacy of Osaka after the Opening Ceremonies; Rosalynn Sumners applauded the decision, explaining that, in 1984, she'd stayed for the whole Games, and, by the time the Ladies' Long Program rolled around, she was exhausted). 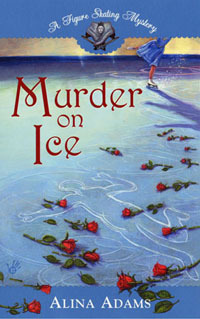 In contrast, 1995 U.S. Champion Nicole Bobek, and 1996 World Champion Michelle Kwan, arrived at the Olympics relatively late in the game, and withdrew into isolation. By the time Nicole got on her first practice session, the cameras had Tara and Michelle to focus on, and so she spent the bulk of her time tying and retying her skates, followed by performing a perfect short program, then followed by twenty minutes of non-stop falling on every triple jump she tried. The last medal favorite to arrive was Russia's Irina Slutskaya, prompting Elena Tchaikovskaya, coach of Irina's Russian rival, Maria Butyrskaya, to tell any member of the media willing to listen that Irina' coach was deliberately hiding the nineteen year old, so that judges and press wouldn't see how much weight she'd gained since the European Championship. Now, obviously, their painstaking courting of the media was not the sole-factor in propelling Lipinski, Kulik, Kazakova & Dmitriev or Grishuk & Platov to the gold. All the press-conferences in the universe would have done no good without exemplary programs to back them up. Yet, skating judges are only human beings, after all, and they can not help but be effected by persistent repetition from the media that So-and-So skated great today, So-and-So landed a Triple/ Triple, So-and-So landed a Quad, So-and-So looks like a winner. Then, once television has created stars with their coverage, they can quickly channel them into other made-for-TV projects: "cheesefest" competitions, prime-time specials (ala Michelle Kwan skating to Disney music) and tours, to capitalize on the popularity they themselves generated. It's a win/win situation for everyone concerned. Skaters get the money and exposure, and television gets the exposure and money. Without one, the other wouldn't be the same today.